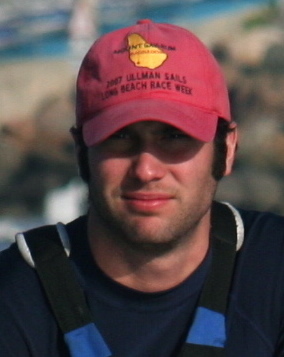 Sam graduated from UCLA in 2008, and was Captain of the Sailing Team his junior and senior years. He was Personnel Officer his sophomore year, and a Coed Varsity skipper for three years. Sam was also voted MVP and Most Dedicated two times each, and when he graduated was presented with an award from the team for all his dedication– his beloved tiller extension, mounted on a plaque. At the 2013 Alumni Regatta, the team unveiled the name of their newest boat: Wheeler. After UCLA, Sam graduated from Boalt Hall (UC Berkeley Law School) and currently works for a federal judge in San Francisco. He previously served as FOUST President from 2009 to 2011 and 2012 to 2014, and as Vice President from 2011 to 2012. 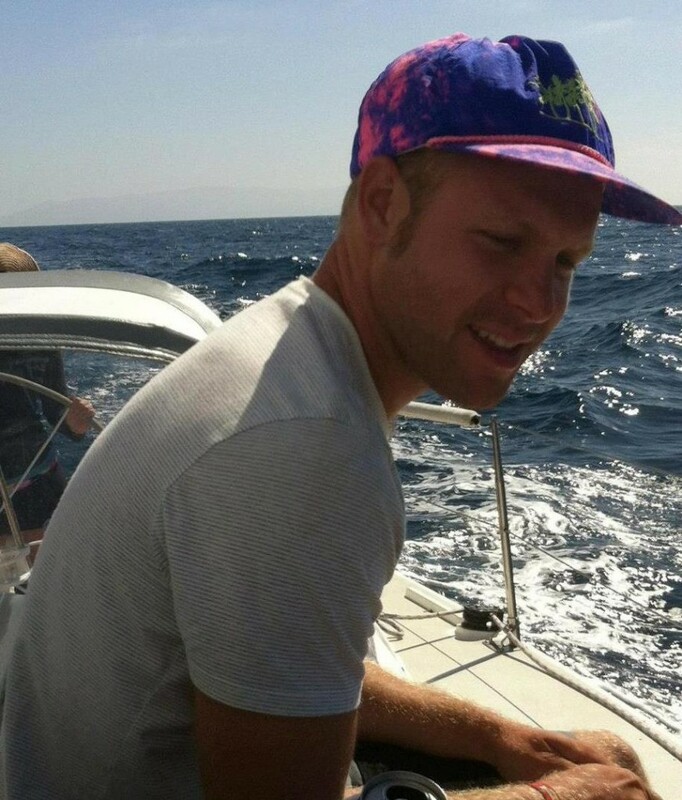 He currently races with the V15 Fleet out of Treasure Island Sailing Center, an Islander 36 out of South Beach Yacht Club, and a Santa Cruz 50 in various Bay Area races. Lyzz joined the team in the middle of her freshman year at UCLA, and the team she discovered was small but had a lot of heart. Together with Sam, Matt Sirignano (’07), and their few intrepid teammates, Lyzz was able to build the team up to the membership it still enjoys today– over 30 students. Lyzz graduated in 2007, was a Women’s Varsity skipper for three years, Captain her junior and senior years, and voted Most Improved and Most Dedicated. Lyzz’s post-graduation exploits include starting her own production company, where she produced fellow alum Bobby Gordon’s (’08) one-man theater piece, “Debbie Does My Dad” at the 2011 Edinburgh Fringe Festival. She currently lives in San Francisco, CA, where she works in marketing for a major construction company. Lyzz served as FOUST President from 2011 to 2012 and 2014 to 2015, and as Vice President from 2009 to 2011 and 2012 to 2013. She now races with the V15 Fleet out of Treasure Island Sailing Center and on an Islander 36 out of South Beach Yacht Club. Neha came to the team as a freshman in the spring of 2007. Despite not having prior racing experience, she quickly became a Coed Varsity crew, sailing with Mark Anders (’10-ish) from 2008 until her graduation in 2010. Neha also served as the team treasurer, preparing her well for her current role with FOUST. Neha is currently living in Oakland and working for the California Public Utilities Commission. She has served as FOUST Treasurer since 2010. She too sails with the V15 Fleet at Treasure Island and enjoys testing the limits of the California Parks and creating sustainable yet seriously delicious meals. Note that these bios are not updated regularly and may not be current. William Edwards, better known as Billy Boomstacks, was the team’s sole graduating senior in 2012 after serving as captain for two years. Although Billy does not hold an official position, his involvement in FOUST since his graduation has been invaluable, and we are all extremely happy that he will continue to be involved with FOUST in the upcoming year. 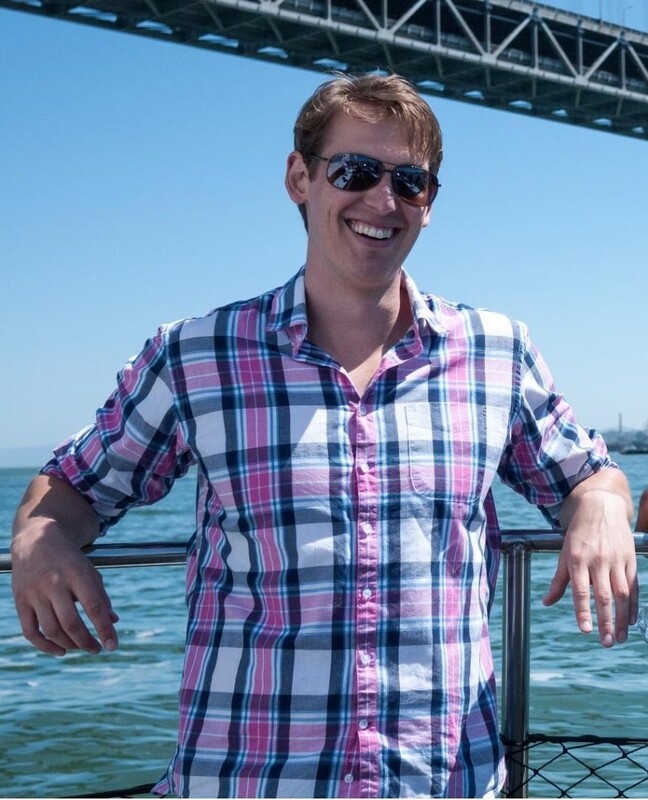 Billy has recently completed his second year at USC, where he has been working on a PhD in mechanical engineering. He studies analytic modeling of sound transmission through composite structures. More importantly, Billy has been working on growing the best mane/mustache/beard FOUST has ever seen. His facial hair was a highlight of the 2015 alumni regatta. Teammate Oscar Jasklowski profiled Billy for FOUST’s July 2012 newsletter. Danielle graduated from UCLA in 2009, where she crewed on both the Coed and Women’s Varsity teams. She went on to receive a Masters in English from the University of St. Andrews in Scotland, where she continued to sail competitively alongside fellow UCLA alumna Anna Schoenbrunner (’11). Danielle currently lives in San Francisco, where she works as a business development writer/ editor. Danielle served as FOUST Secretary from 2012 to 2013 and 2014 to 2015, and as Vice President from 2014 to 2015. 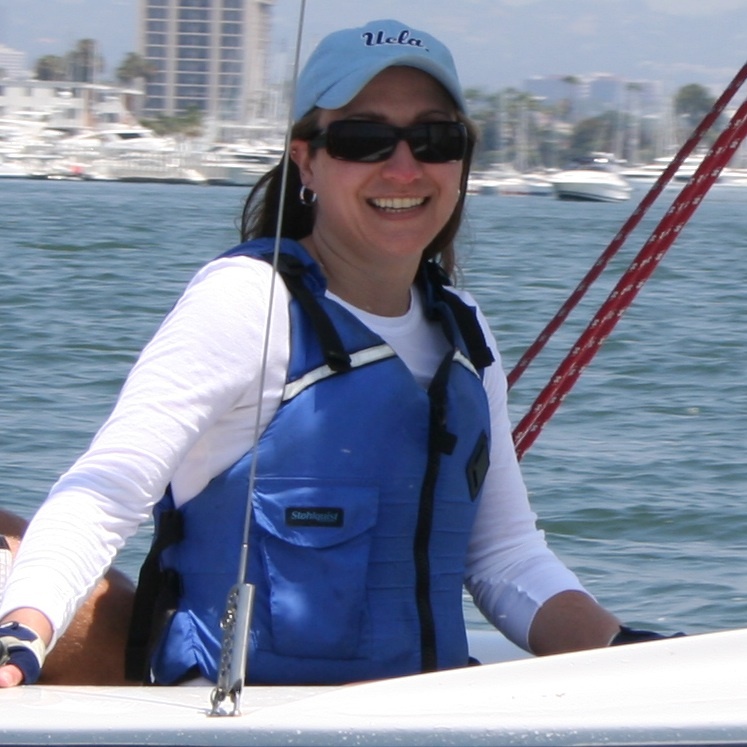 She races alongside various other UCLA sailing alumni as part of the V15 Fleet out of Treasure Island and on an Islander 36 out of South Beach Yacht Club. Oscar officially retired from college sailing following the single biggest catastrophe of his sailing career: graduation. Having never raced before joining the team his sophomore year, he quickly became one of UCLA’s strongest sailors, skippering B division for the Bruins’ push to the national semifinals. While on the team, he won the Pacheco Award for most improved an unprecedented 2 times to go along with Rookie of the Year. 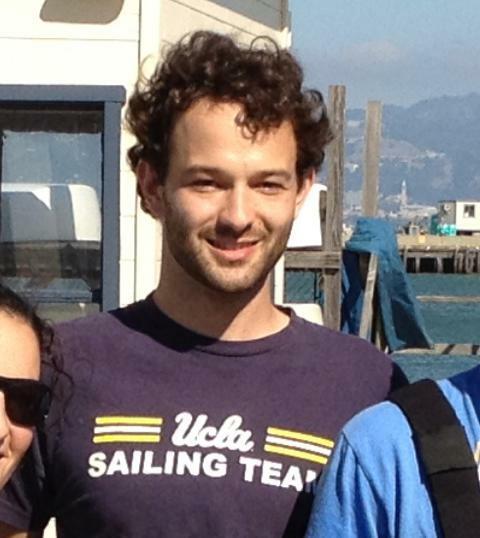 Despite these many fine accomplishments, his proudest moment as a UCLA sailing team member was competing at the 2011 National Semifinals regatta in Long Beach. Aside from sailing, Oscar enjoys most things that start with the letter B (bicycles, breakfast, beer, Boomstacks, travel, etc.). After spending time in Utah, Australia, and San Francisco, he recently relocated to New York. 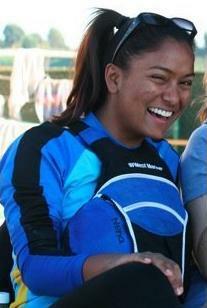 Nora graduated in 2013 after a college career as UCLA’s B division skipper for Women’s Varsity and often Coed Varsity. She, along with fellow alumni Emelia Pelliccio and Amy Stuyvesant, found the UCLA Sailing Team through a friend who convinced them all to join. Though this friend did not stay with the team, we remain in her debt for our beloved Team Liaison. Nora had never previously sailed, but began skippering her freshman year and moved quickly into Womens Varsity and eventually also Co-Ed Varsity. She also served as the team’s treasurer from 2012-2013. 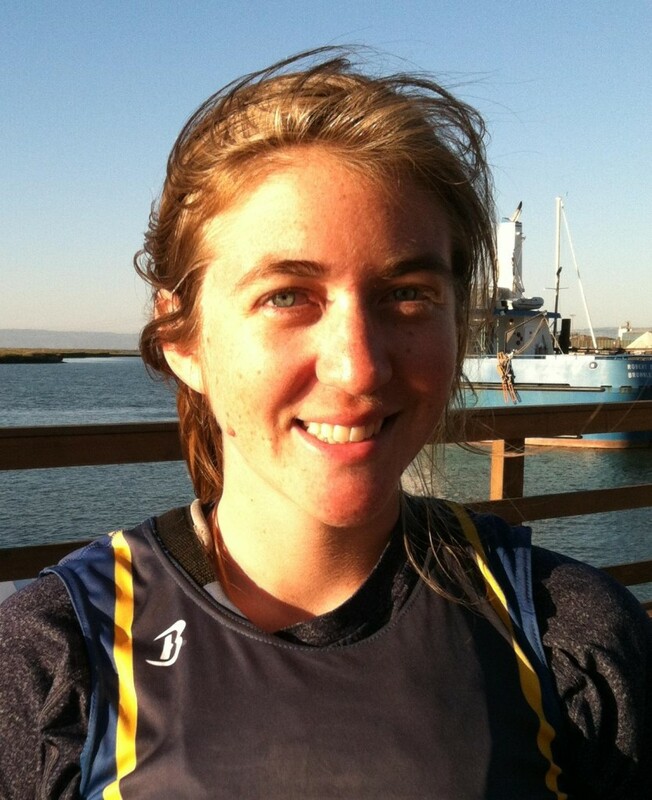 Nora has joined a large contingent of the team in the Bay Area, where she is pursuing a PhD at Stanford. 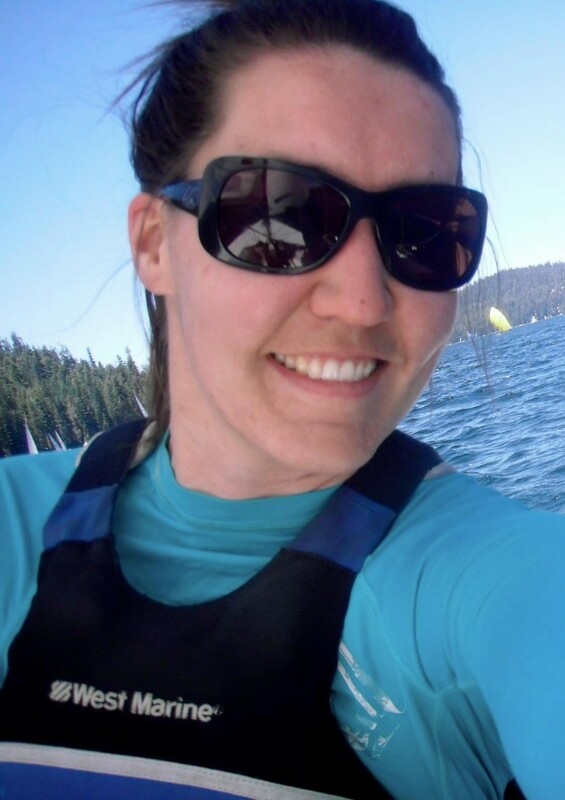 Emily graduated from UCLA in 2000, and currently lives in Colorado with husband and fellow UCLA Sailing alum Carl Klopstein (’02). Emily and Carl celebrated the birth of their daughter Annabelle in 2011, and by 2013 brought her to her first of hopefully many alumni regattas! Emily served as FOUST Secretary from 2011 to 2012. Drew grew up sailing El Toros out of Santa Cruz Yacht Club and later graduated to Lasers, sailing mostly singlehanded boats until he came to UCLA. On the team, he served as personnel officer, organizing practices, regattas, and recruiting. 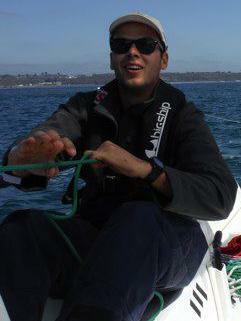 He was also a varsity skipper, and sailed B Division when UCLA won the South 4 regatta in 2011. Drew is currently attending medical school at UC Irvine. For more about Drew, see the profile by teammate Oscar Jasklowski in FOUST’s May 2011 newsletter. Taryn joined the team in the fall of 2007. She served as Social Chair prior to graduating early in 2010. Currently, Taryn lives in Los Angeles where she served as FOUST’s liaison to the team from 2010 to 2011. Blaize came to the team late in his collegiate career, and has the distinction of being a member of the first huge class of “newbies” that Sam, Lyzz, and Matt were able to welcome into the family. His first year on the team, the six returning members initiated a class of almost twenty. Blaize had never sailed competitively before he joined the team, and although as per team policy he began as a crew, his technical prowess and 6’4″ height ensured he quickly moved up to skipper. Kelly grew up sailing in Coronado in San Diego, and came to the UCLA Sailing team in 2005. 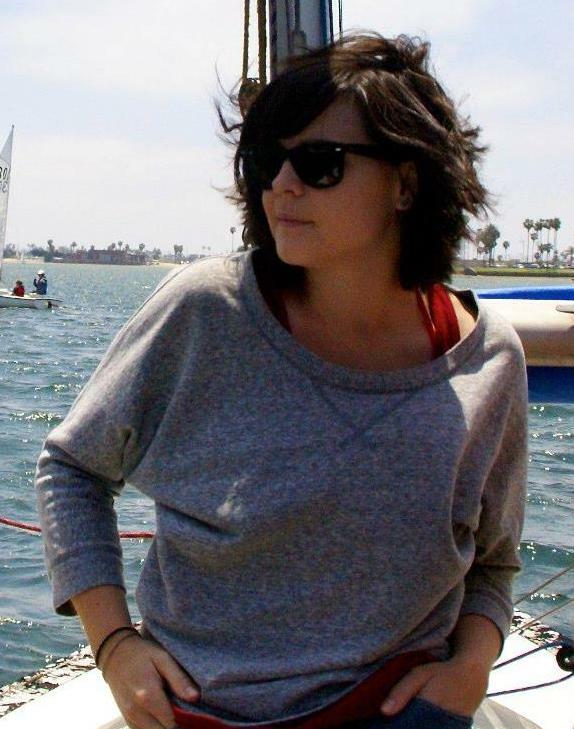 Convinced by fellow TriDelta alumna Sarah Lewis to join, Kelly quickly found a spot skippering on Womens’ Varsity and later also sailed co-ed Varsity. Kelly served as Captain from 2007-2009 and received Pachecos for Rookie of the Year and Most Outstanding sailor. 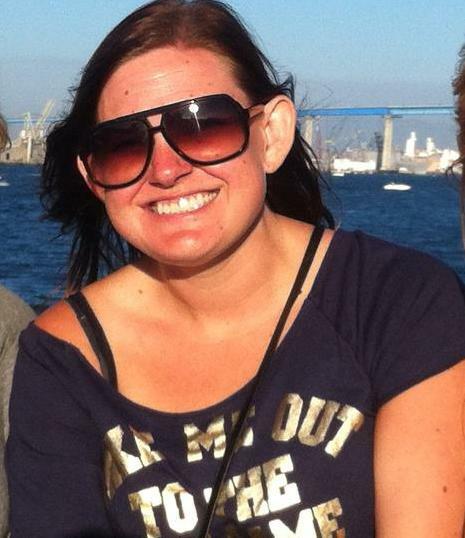 Kelly currently lives in Coronado and works at a nonprofit in downtown San Diego. 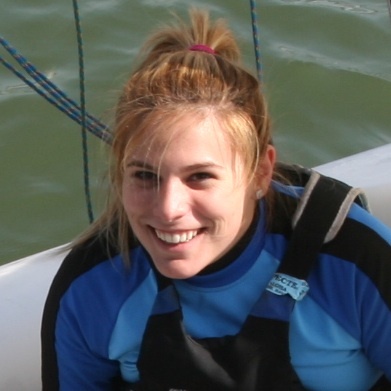 Stephanie Spilker joined the team in 2005 after sailing at her home in Orange County. She crewed for Womens’ Varsity. Despite leaving an impressive record behind, Stephanie’s greatest sailing legacy will be patiently teaching her uncoordinated teammates the Wagon Wheel dance. Stephanie currently lives and works in San Francisco. Matt joined the Sailing Team at the beginning of his freshman year, just few months before Lyzz, when team membership was still in the single digits. During his Sophomore year the small team drafted its first official Constitution, and Matt and Lyzz were voted as the first team Captains under a dual leadership system. Matt went on to be voted Most Improved and Most Dedicated his Junior and Senior years, respectively.